Joan was born and raised on a fruit farm in Vineland so she is a true native to this area! 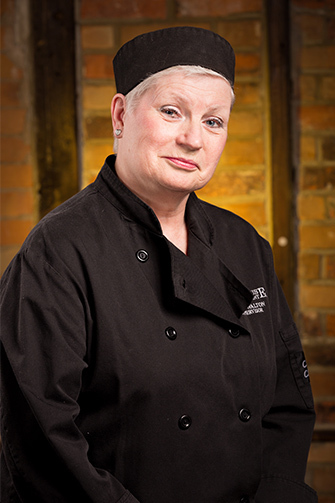 Joan has worked in the food industry for over 20 years. She had her own catering business for three years in Burlington and this experience gave her invaluable insight into the preparation of food. Joan has a dedication to quality and she insists on using only the freshest of ingredients. Joan joined the Lake House team almost ten years ago. She started in the prep area and has continued to work in this part of the kitchen ever since. Joan was promoted to Day Kitchen Supervisor and she takes this responsibility seriously. Joan is the Lake House ‘Prep Queen’ and she is responsible for all of our delicious desserts, both the regular sized desserts and our delectable mini desserts! As a little historical tidbit: One of her uncle’s ancestors was the original builder of the home that Lake House now occupies!